Scandinavia expansion features Sweden, Norway and Denmark, you’ll be exploring mile upon mile across these three beautiful Nordic countries. New ferry terminals also allow you to board ferries directly and to discover 27 Scandinavian cities, new industries, with over 80 new cargo. – Working LCD screens for Mercedes 190 DTM EVO 2, Mercedes C9 LM. DiRT Rally marks the return to a more authentic and dangerous off-road racing experience. We deliver free new content every month, plus a continuous stream of gameplay improvements. “the best thing that’s happened to rally games for years” – Eurogamer. • EXPERIENCE 4 MASSIVE NEW REAL-WORLD RALLY LOCATIONS: DiRT Rally now offers four massive environments and 38 challenging stages, with more to follow. Drive them during the day – in dry, overcast, sunny, misty, wet, rainy and snowy conditions – and then take them on at night for a very different, intense experience that will challenge the elite. • Powys, Wales – Muddy, wet gravel stages and forest runs often in the rain during the day and at night. • 20 CARS OVER 7 NEW AND CLASSIC CLASSES TO DRIVE NOW: Rally is about having the right car and DiRT Rally will have all of the right cars. At the start of Early Access, DiRT Rally delivers 20 cars and will be adding more cars over more classes in the future. Nachdem das rätselhafte Bild von Darius Bode veröffentlicht worden ist, wurde nun offiziell angekündigt, dass das neue Pay-Add-On in Chicago stattfinden wird. Neue Bilder des kommenden Add-Ons sind nun auf der Website von Darius zu finden. Genaue Infos sind noch unklar. Dovetail Games is pleased to announce that today (23/04/2015) we have released a new update for Microsoft Flight Simulator X: Steam Edition. During our extensive community beta testing we discovered one problem which we still need to fix. However, rather than delay the release of the update, there is a work-around for you to use until an additional fix is released. 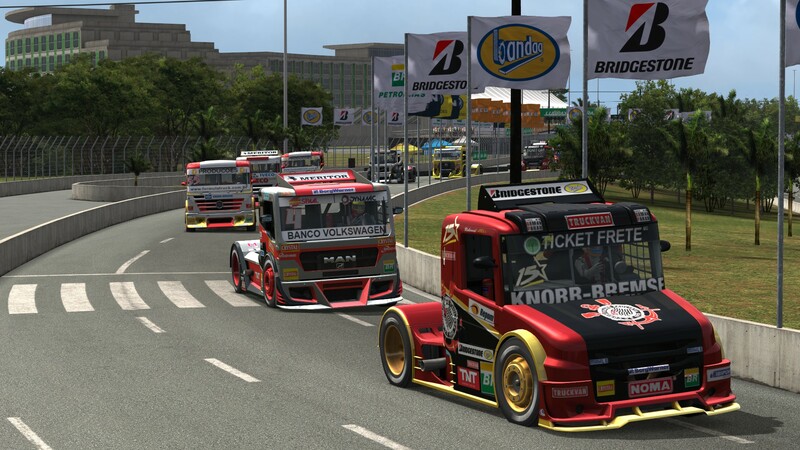 Formula Truck 2013: v1.25 Released! For non-Steam users, a full updated installer will be coming up soon. Here’s a quick look at the Avery – Drexel (USA 1970’s) route for Trainz: A New Era. Tom Coronel takes you on a lap around Salzburgring, explaining the key spots of the track. Salzburgring will become available later today for RaceRoom, so stay tuned! ფილმი მოგითხრობთ ლეგენდალური ავია სიმულატორის IL-2 სერიის შესახებ პირველი ნაბიჯებიდან დღემდე.